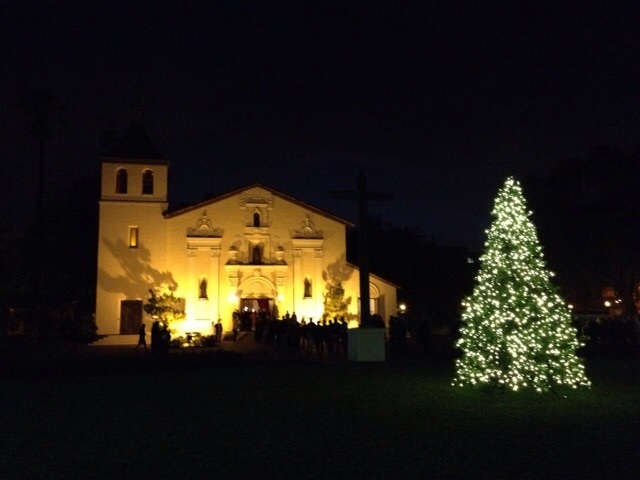 After two days of heavy and welcome rain, the air was cool and fresh at the Mission Santa Clara, where our home crowds sold out both performances at 6pm and 8.30pm. Not sure when we've seen the mission so packed. Christmas is definitely in the air. When we arrrive at the two missions ( Carmel tomorrow night) we know we're getting very close.